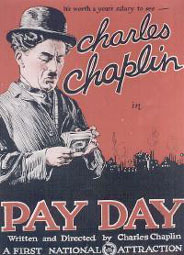 Pay Day (1922) is an American short film made by First National Pictures. Charlie Chaplin wrote, directed, and starred in the film. It is notable as Chaplin's final two-reel short film.